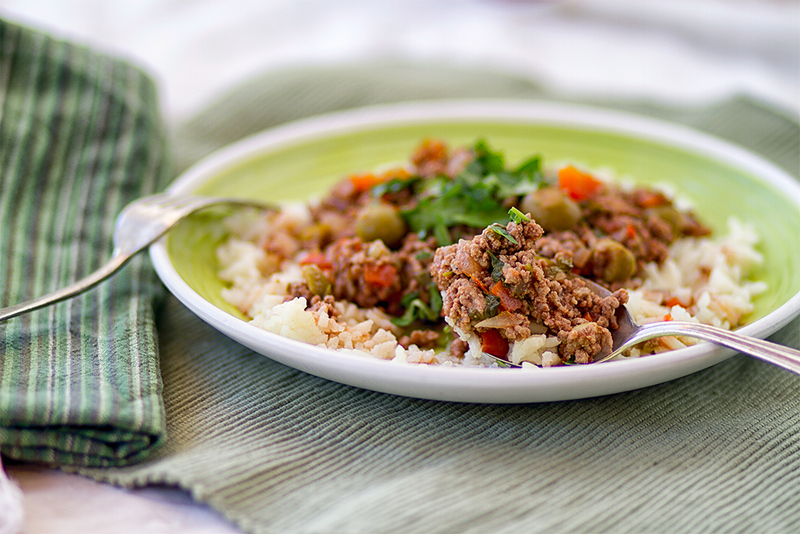 Crock Pot Picadillo and a Cold Winter Day – We Call Him Yes!Chef! 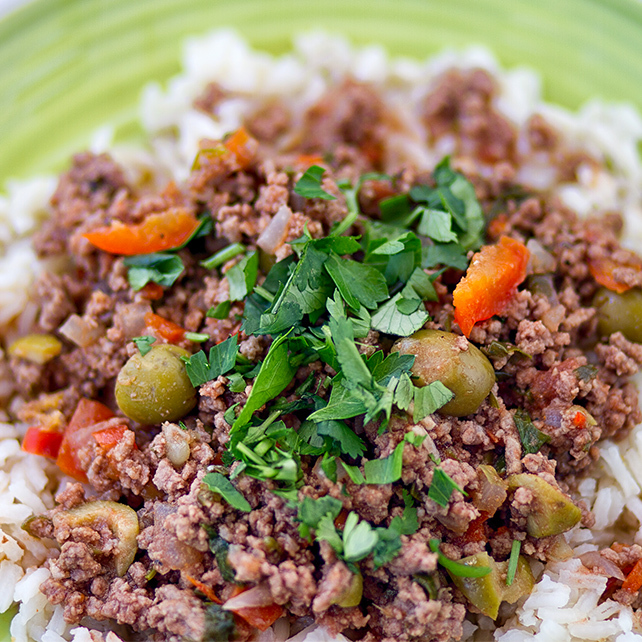 Picadillo: ( “mince”) is a traditional dish in many Latin American countries and the Philippines (where it is known as giniling, and also Arroz a la Cubana) that is similar to hash. It is made with ground beef, tomatoes (tomato sauce may be used as a substitute), and other ingredients that vary by region. It is often served with rice or used as a filling in dishes such as tacos, savoury pastries or croquettes. 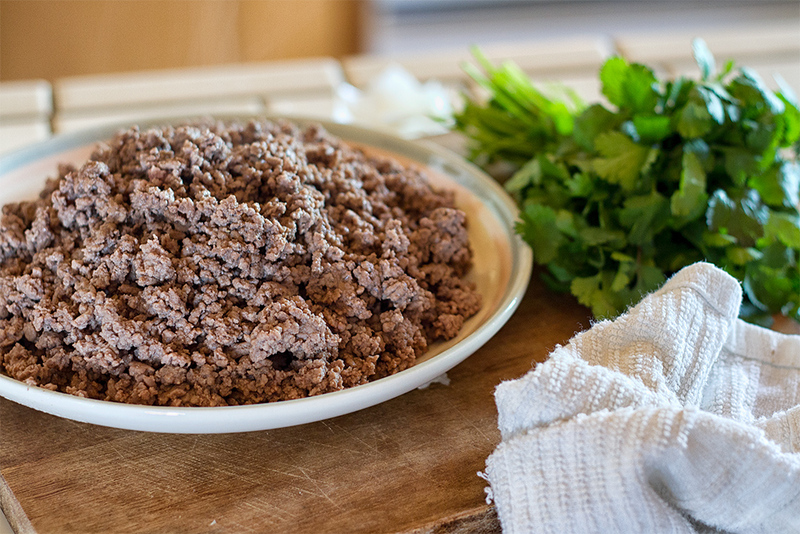 The name comes from the Spanish word “picar,” which means “to mince” or “to chop”. 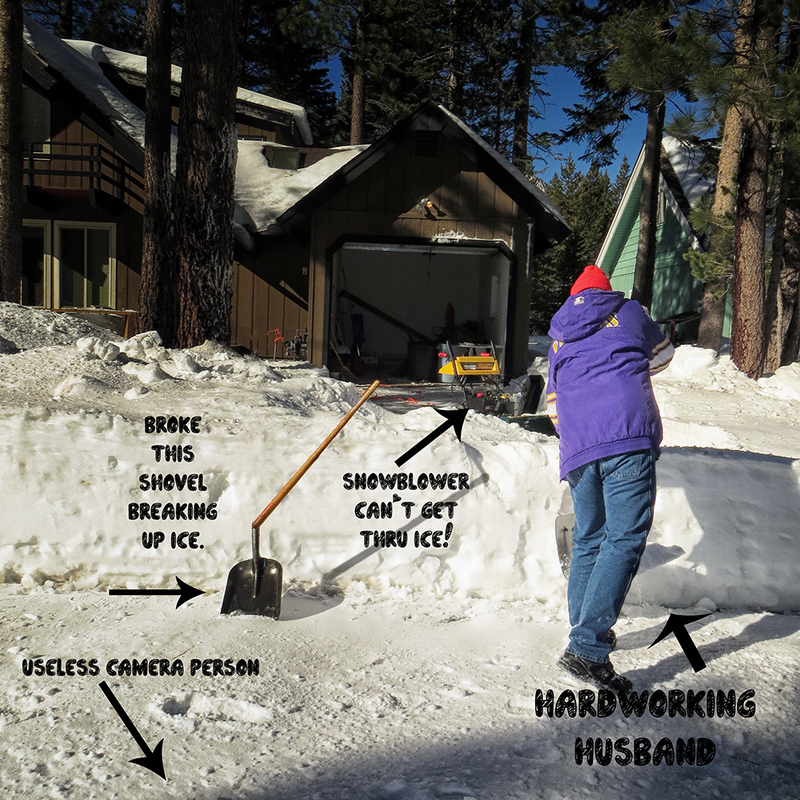 We decided to go to Tahoe for the weekend and since we hadn’t been here since early November, there was a little bit of snow-blowing to be done so we could get in to the durn place. I went out to help Yes!Chef! shoveling some of the snow, which was ice encrusted, so that the blower could get thru the four feet of snow in front of our little slice of heaven. Although we arrived Friday afternoon around 3:00, the sun was already behind the mountains and the snow had frozen up, so Y!C! was able to blow about 1/4 of the driveway before it just became too hard. 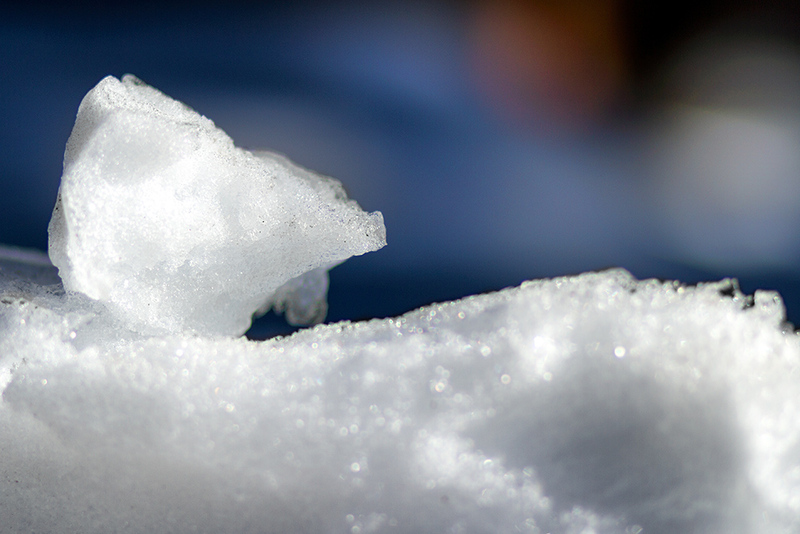 However, the next morning he was up relatively early shoveling and snowblowing. Unfortunately, we had a minor mishap with one of our shovels rendering it and myself useless to help. Sunday morning, the day of the playoff games, with my 49ers about to enter the Superbowl for the first time in many years, we headed down to one of our favorite little coffee shops, Alpina Coffee Cafe. We had a light breakfast of a seed encrusted bagel with a little cream cheese and a latte. 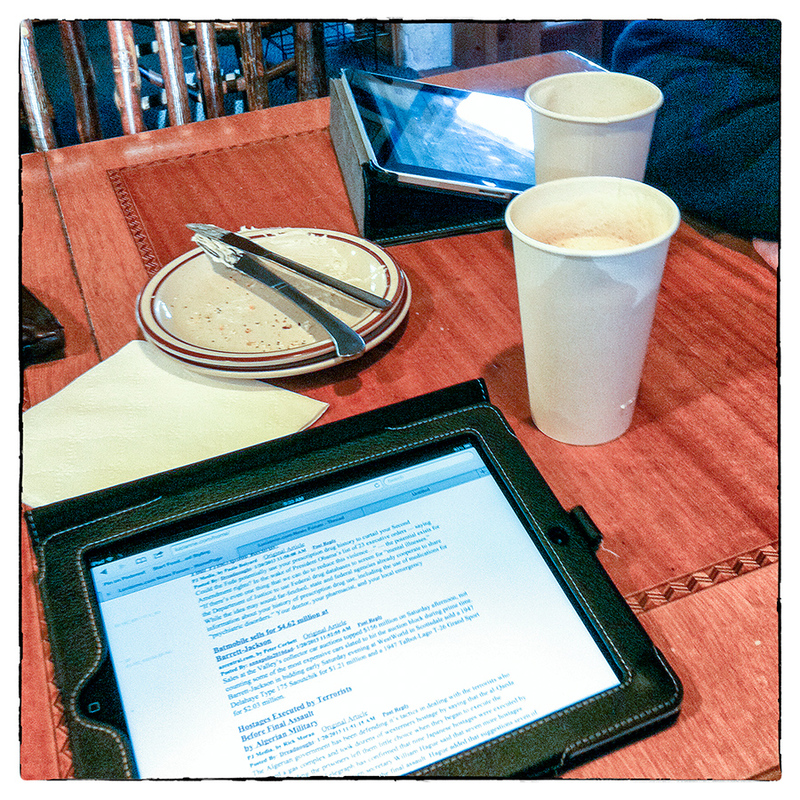 We both brought our ipads, so we read the news, sipped our lattes, ate our bagels and watched the locals and the tourists come and go from this great little coffee shop. By 10:00 we were ready to go home and get ready for the football game. It was a lovely way to spend the morning. We had already planned dinner and purchased the items we needed the day before. Tahoe was very crowded on this particular weekend because of the abundance of snow, a three day weekend and beautiful, cloudless weather…a skiers paradise. It was a madhouse at the grocery stores (and everyplace else, for that matter), so we were glad we were shopped and stocked up. We got home from the coffee shop in plenty of time to make the Picadillo before the game started. We let it cook away in the crock so we could be free to watch my 49ers. Yes!Chef! is a Vikings fan (cue funeral music), so he will probably have to wait for next year (or maybe the year after…) for them to get into the Superbowl. I must confess that I was the one that talked Yes!Chef! into making the Picadillo. 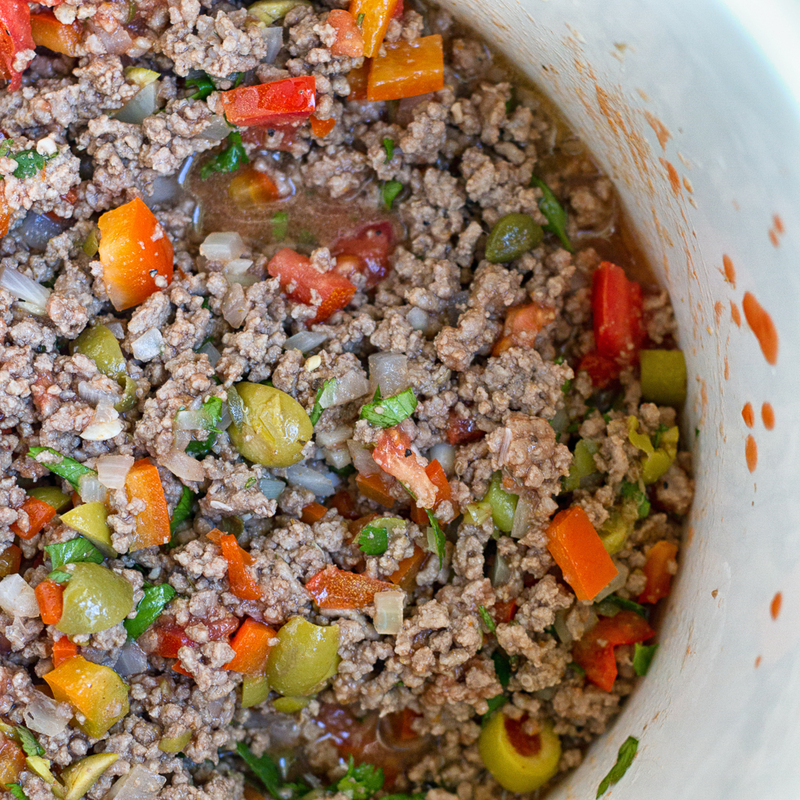 I saw a couple of recipes for Picadillo that looked interesting to me and I have been wanting to use a crock pot recipe for our blog. So we looked at a bunch of recipes and came up with something that we thought would work. And, boy, did it. It was warm and comforting and spicy and filling without being too rich. I think you will like it very much and it doesn’t take a lot of time. It took Yes!Chef! about an hour to prepare, but once prepared and in the pot the only other thing you have to worry about is making rice or pasta, if you want. You can also put it into a tortilla or just eat it plain for a great low carb meal. Yes!Chef! 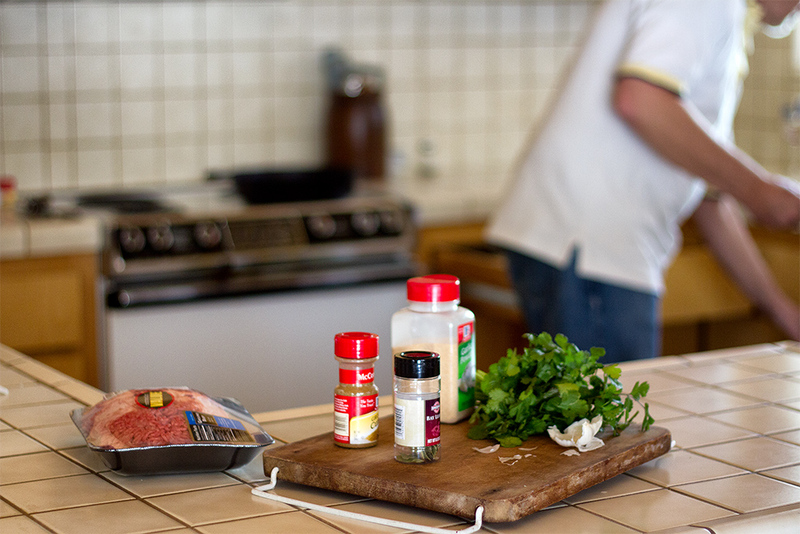 always takes his time with the preparation (my worst favorite part of cooking). 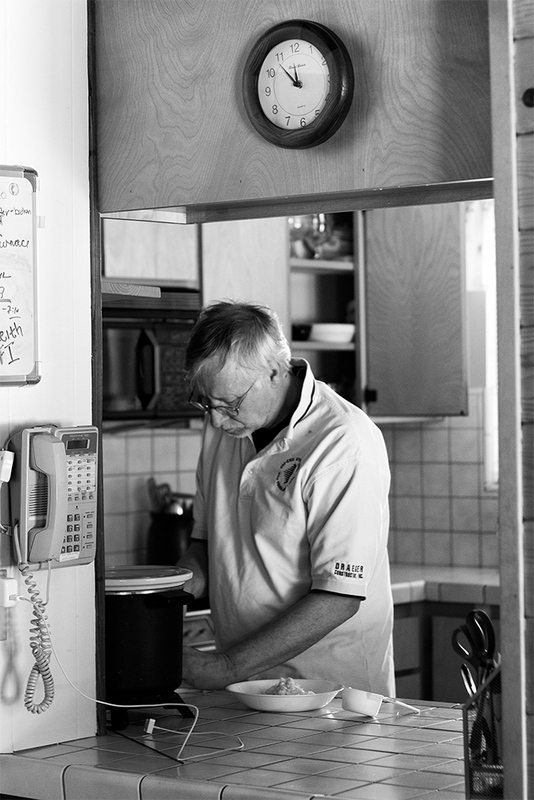 He truly enjoys the process and because he does take his time with it, the recipe has a better chance of tasting good. This meal was pretty simple as far as ingredients go. Nothing exotic or hard to find. Because the recipe is basically a Cuban recipe, lots of fun spices are involved. The hamburger is broken up and cooked just until brown (not overdone) and then the veggies are added to the pan. Onions and red peppers are thrown in with the hamburger and then everything is thrown into the crock pot. My favorite part is the relish that goes in the pot. 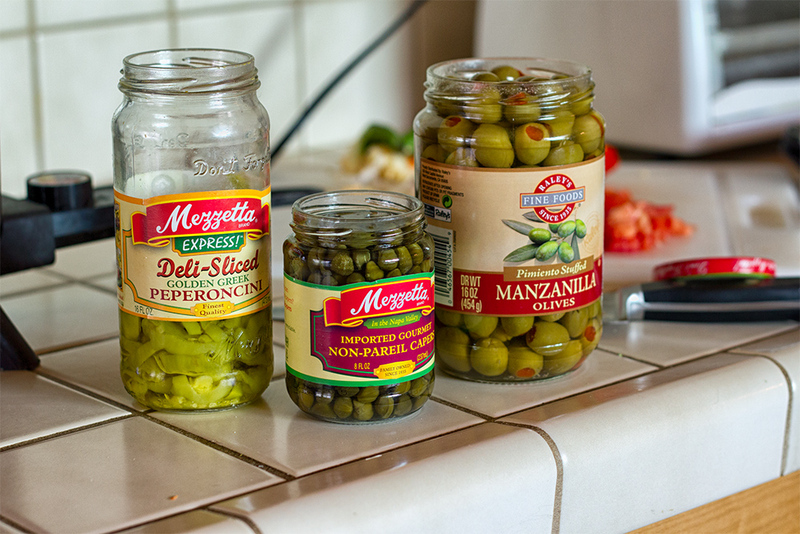 It is comprised of Pepperoncini, capers and Manzanilla olives. This adds a great acid flavor to the dish. Chop it up and throw it in the pot with a little of the brine. Then add all the spices and the tomato sauce and the water. A quick peek in the pot before putting the lid on. Ready to be cooked…low and slow. Then, turn the C-pot onto low, cover it and let it cook for 6-8 hours. DO NOT REMOVE THE LID DURING THIS TIME! I MEAN IT! This is why the lid is clear glass…so you don’t have to peek and you certainly don’t have to stir it. Why? The crock pot develops it’s own little environment that is perfect for cooking the food. It takes time to develop this environment and to make a great little water seal between the pot and the lid. If you disturb this environment, all the heat and steam escapes and it has to start all over which increases the time and decreases the necessary liquid. Here is a way to remember not to lift the lid while cooking: Imagine it is a very cold winter night and you turn on the electric blanket to be all snug and warm and make a nice cozy environment so that you can get a good night’s sleep because if you don’t get a good night’s sleep you will be crabby and difficult the next day. Then, in the middle of this night, some prankster sneaks into your room and grabs your covers and yanks them off, throwing them to the cold, cruel floor. This incredibly evil person then says (after you are done screaming), “Oh, I just wanted to see if you were sleeping.” Sure, you can grab the covers again. 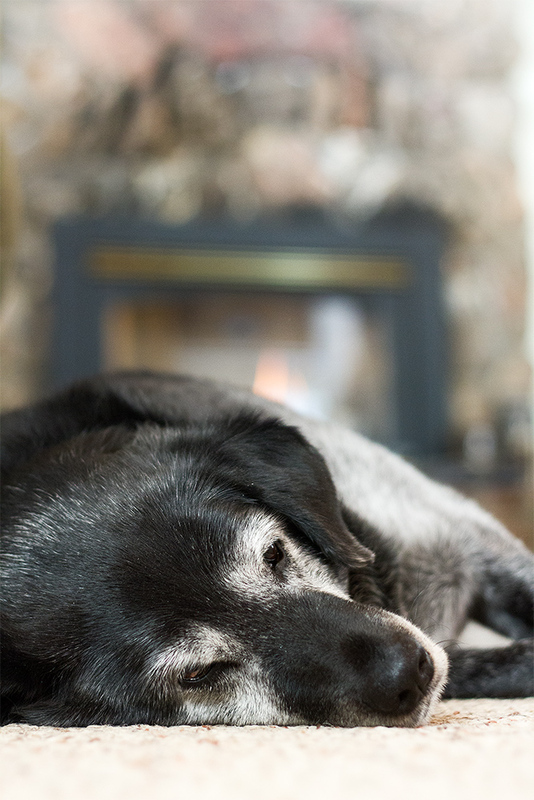 Put them neatly back on the bed and wait for the electric blanket to warm you up again, but the shock of the whole ordeal makes it more difficult to create your cozy environment and go to sleep. 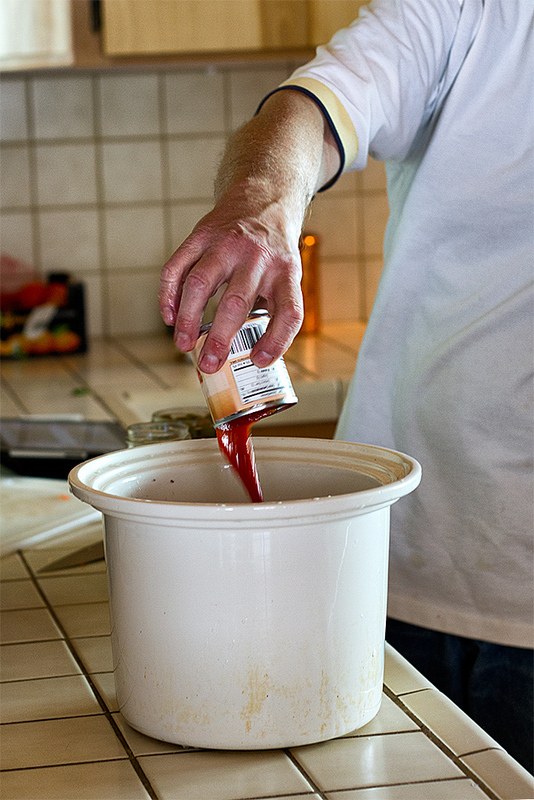 Remember this story when you make this recipe or any other Crock Pot recipe, for that matter. After Yes!Chef! finished the task, we even had time to take Obie for a walk around the block. It’s a long block (a little over a mile), so we got in some good exercise. Then, Y!C! grabbed a beer and high-tailed it over to the best seat in the house to watch the 49ers whoop some heiney. Go Niners! Sadly, Y!C! 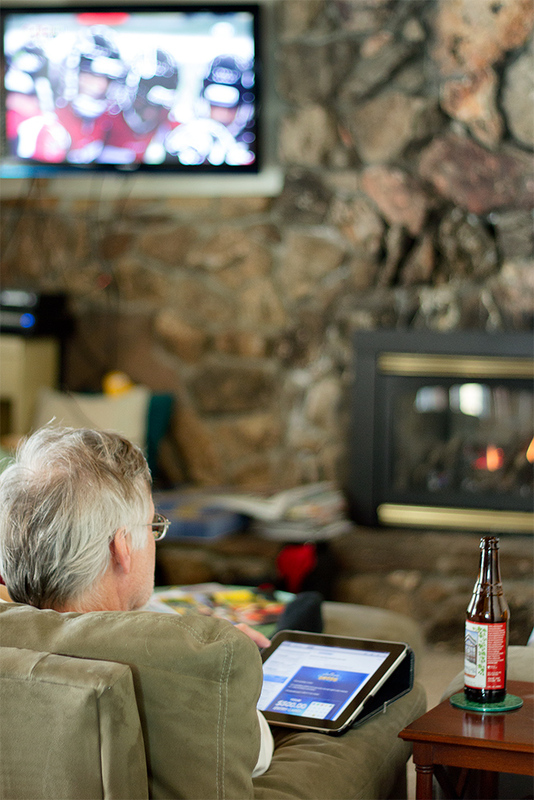 finds himself rooting for the hated 49ers. 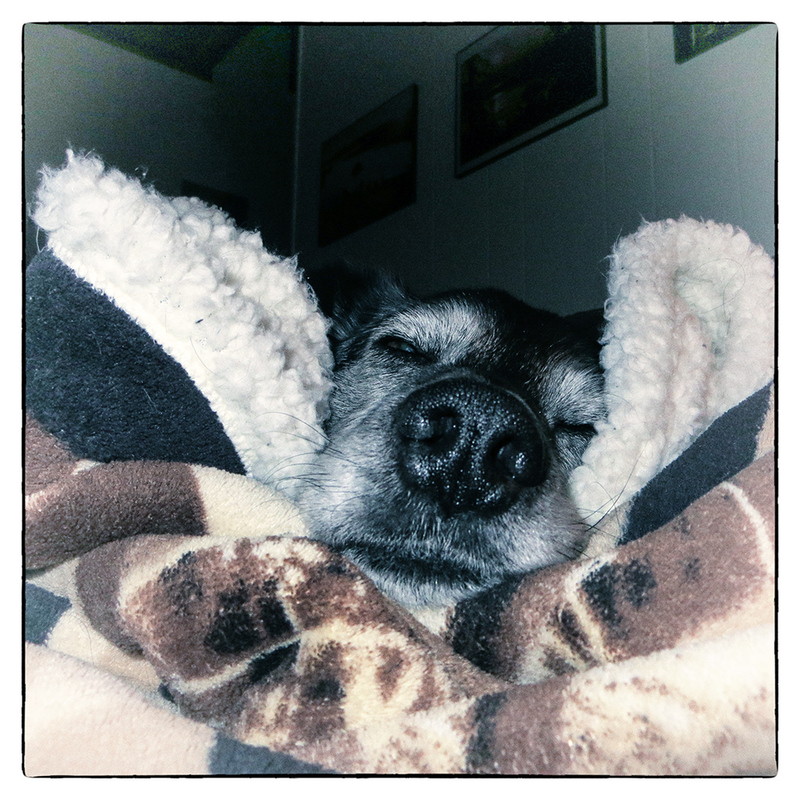 And Obie settled in for a long winter’s nap. Around 5:30, Yes!Chef! cooked up some rice and we were ready to eat at 6:00. 1. Brown the meat in a large skillet (we love our Iron Skillet) on medium-high heat. Season the meat generously with salt and pepper. Break up the meat as it is cooking to make small pieces. Cook just until brown (no more pink). Do not overcook. Then, drain the liquid off. 2. 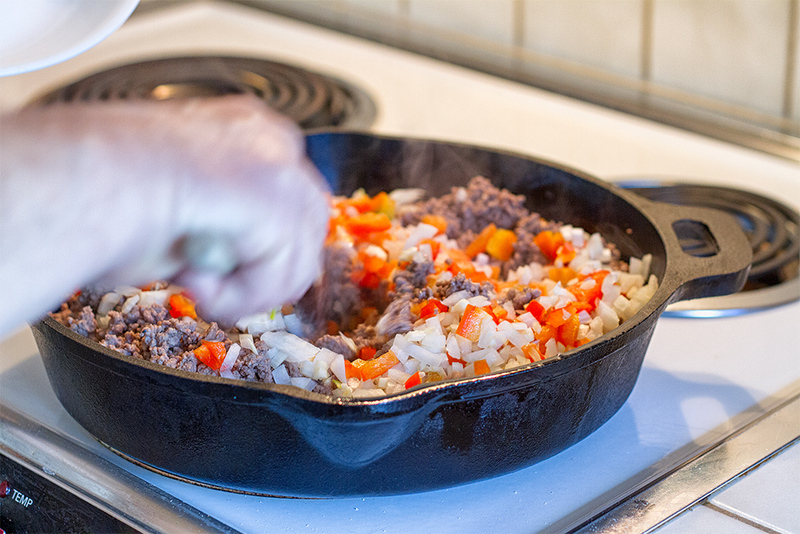 Add the onions, garlic and bell peppers to the meat and continue cooking an additional 4-5 minutes or so. 3. Transfer the meat to the Crock Pot. Add the chopped tomato, cilantro, tomato sauce, 1 1/4 cups water, olives, capers and pepperoncini. You may also add a little brine from the olives or pepperoncini for additional flavor. 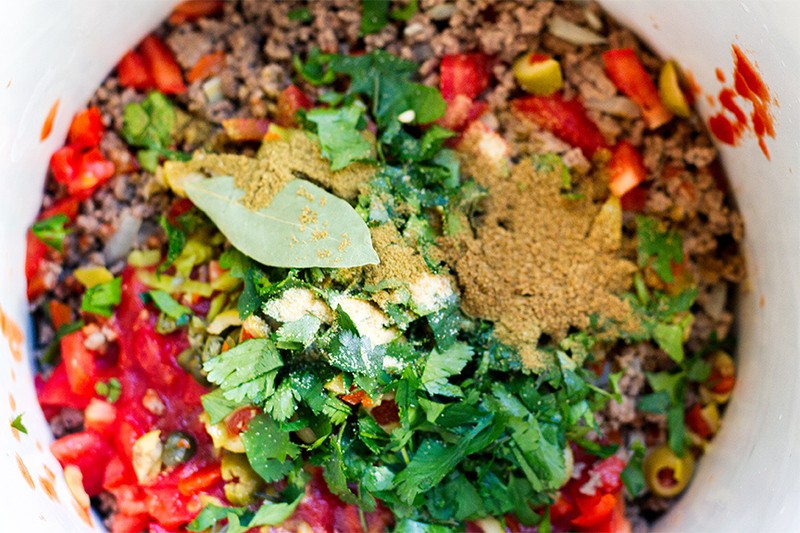 Add the spices. Stir everything around so they can all get to know each other. 4. Set Crock Pot to LOW for 6 to 8. You can cook it faster by turning it to high for 3-4 hours, if you want. Do not open the C-pot under any circumstances. Heed my warning from above. 5. When it’s cooked the appropriate amount of time, you might want to taste for seasoning. Yes!Chef! added a little more salt, pepper, cumin, and cilantro and probably a teensy bit of Cayenne. Fish around for the bay leaves and toss them out. 6. Serve over rice, if you like. This recipe is great to serve on a winter’s day. The leftovers are also very tasty. Try it. You will like it. It will warm you up! ← Get over your wintertime blues with French Onion Soup! Thank you so much, TFP. We had it AGAIN for lunch today and it was even better. Gotta make it again. Don’t disturb the environment! You don’t have to pull off the covers from someone in the middle of the night to see if they are sleeping and you certainly don’t have to poke them once you’ve removed the covers. It makes them cold, crabby and hostile. You certainly don’t want hostile food coming out of the c-pot. Happy food means happy taste buds. Heh. How’s that? Thanks. I’m anxious to make it again and freeze it in single servings. I never know in which category to put your blog – food or art! Ha! Why, thank you so much. Do you have a category for goofball commentary? Thanks! I like the idea of adding different veggies and I love carrots. Potatoes would also be good and then I wouldn’t need the rice. Yes, the whole shovel thing was unfortunate. For some reason, Y!C! 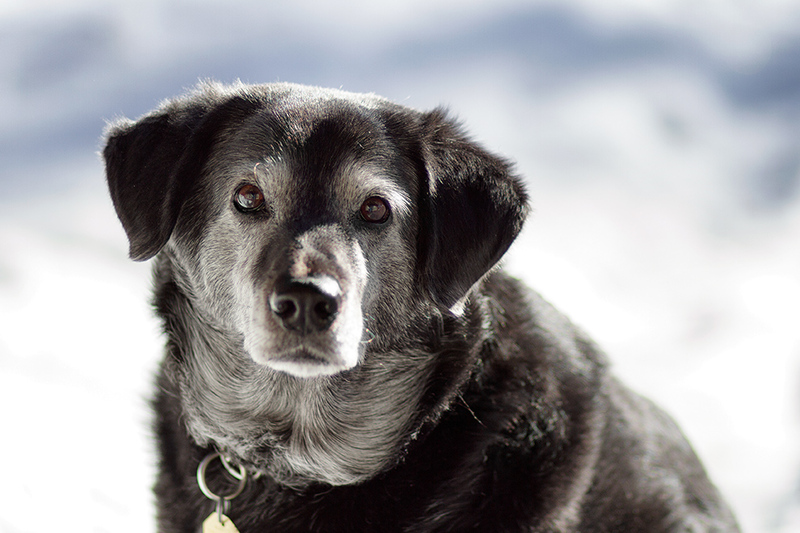 loves to shovel snow. I think it’s nostalgia from his Minnesota childhood. I can almost smell this cooking! 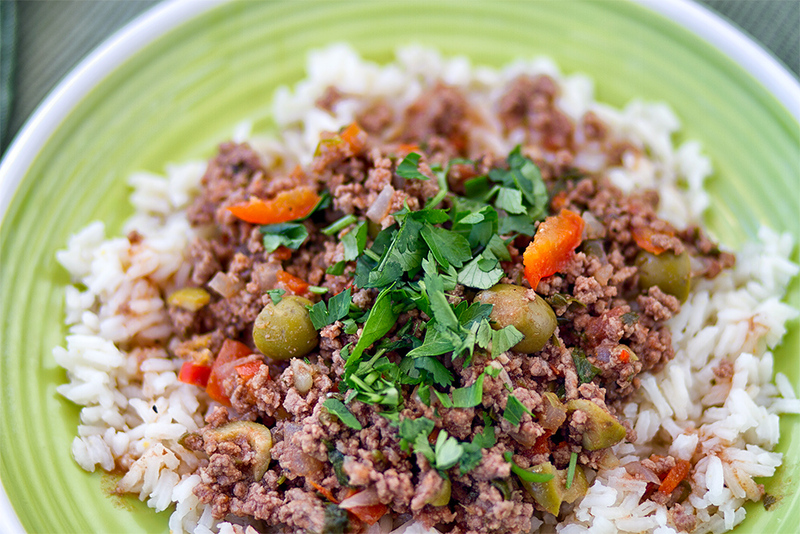 I didn’t know the origin of the word picadillo. This sounds so yummy and warming. Maybe a good dish for SuperBowl? Absolutely good for the super bowl. I mentioned that to Y!C! and he said, “We just made it.” So, it’s a no go. I’ll probably make it again in Feb, or something.